Exotic cars and luxury watches go together like fine wine and cheese, and two of our favorite brands are already inexorably linked via their involvement with the Red Bull Racing Formula 1 team. Aston Martin is a title sponsor of the F1 team, while Tag Heuer is official timekeeper and watch partner. The Swiss firm previously enjoyed naming rights for the Renault power units the team relied on but the deal ended with Red Bull's switch to Honda power units for 2019. 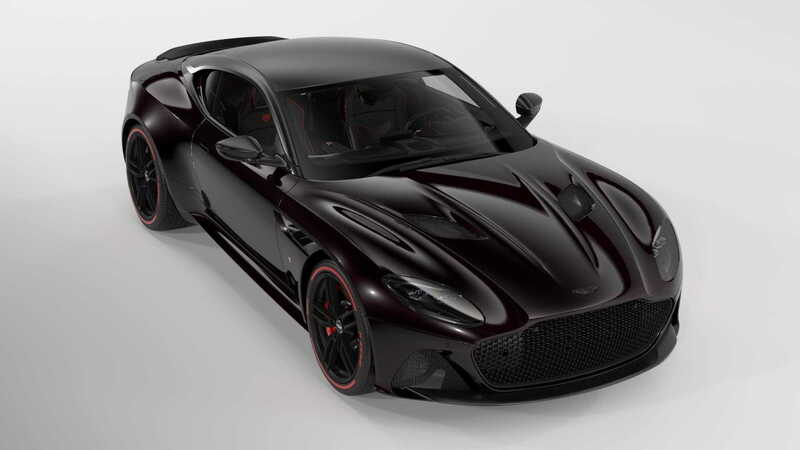 Now Aston Martin and Tag Heuer have come together to collaborate on a bespoke DBS Superleggera supercar. 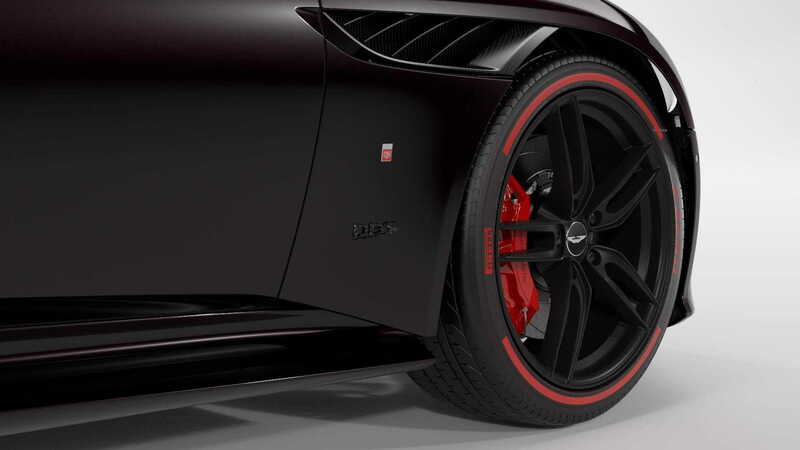 Labeled an Aston Martin DBS Superleggera Tag Heuer Edition, just 50 of the cars will be built, all of them finished in Monaco Black exterior paint and accented with carbon fiber elements. 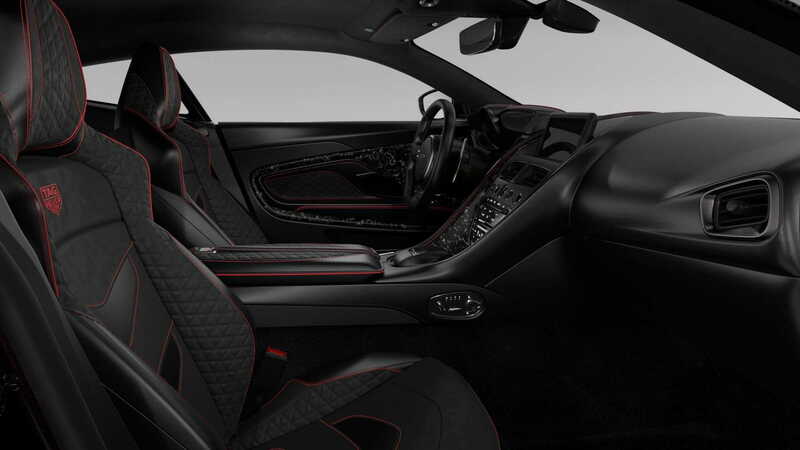 The interior follows a similarly black theme, contrasted by red piping and stitching on the seats. Naturally, you'll also find Tag Heuer logos littered around the car, including on the front fenders and on the seat backrests. Under the hood sits a 5.2-liter twin-turbocharged V-12. It delivers a stock 715 horsepower and 664 pound-feet of torque, or enough to hustle the car from 0-60 mph in 3.4 seconds and on to a top speed of 211 mph. Buyers looking for more will likely have to wait until Aston Martin drops an AMR version of its super GT. 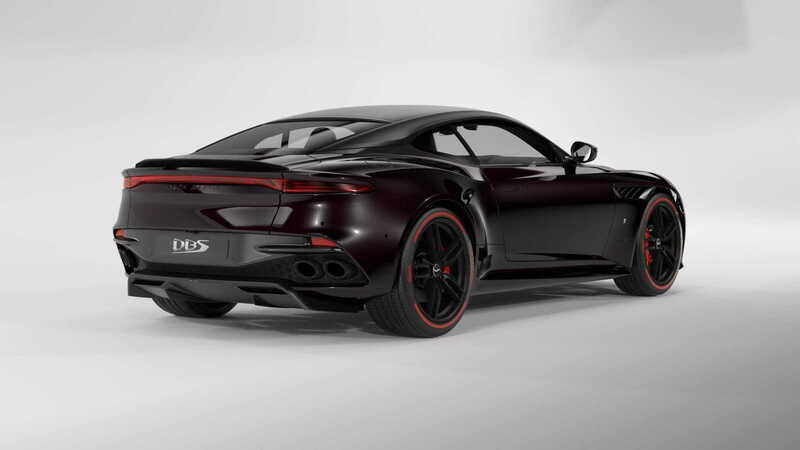 Each of the 50 buyers of the DBS Superleggera Tag Heuer Edition will also receive a special Tag Heuer watch, most likely based on the Carrera Heuer 01 Aston Martin Special Edition series. No word yet if any of the cars—or watches—will end up here.